I tend to be a purist when it comes to Thanksgiving side dishes – I need to have all the standards like stuffing, cranberry sauce, mashed potatoes and green bean casserole and nothing too newfangled or off-the-wall. That said, I do enjoy a flavor tweak or two every year, such as with the Gingered Orange Cranberry Sauce we’re having this year. Make no mistake, this is still whole berry cranberry sauce as we know it, but simmering the tart berries with sweet citrus and spicy ginger really complements and enhances the flavor (much like coffee enhances the flavor of chocolate). I’ll go so far as to say I now prefer this version over the classic and that’s saying a lot! Read on to the end of the post for the recipe. As I mentioned last week, I’ll be sharing different ways to incorporate ginger into your holiday cooking and baking, as one of seven bloggers participating in McCormick’s “Seasonal Seven Flavors” celebration this season. 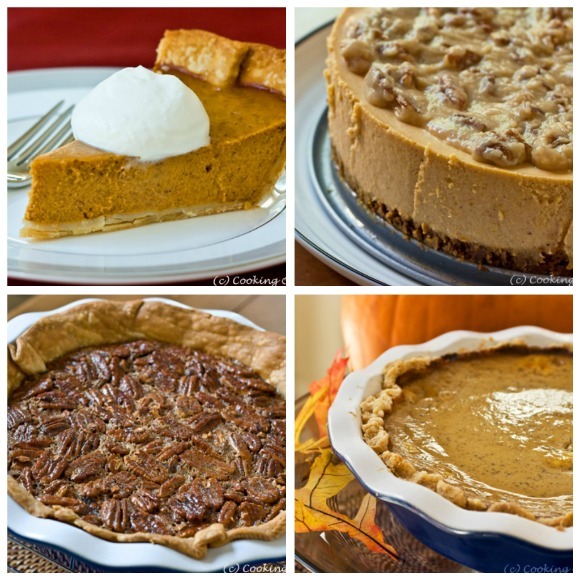 The seven flavors – cinnamon, nutmeg, poultry seasoning, ginger, sage, vanilla, and peppermint – feature prominently in practically every holiday recipe I’ve shared on this blog. 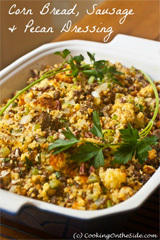 As you prepare your Thanksgiving menus, here are some of the best “on-the-side” side dishes and (and desserts!) I’ve found over the years. Whether you’re doing the cooking or the eating this year, I wish you all a very Happy Thanksgiving!! Mix sugar, water and orange juice in a medium saucepan. Bring to boil on medium-high heat. Add cranberries and ginger; return to boil. Reduce heat to medium-low; simmer 10 minutes or until the cranberries burst and sauce begins to thicken, stirring occasionally. Remove from heat. Stir in orange zest. Cool to room temperature. Cover. 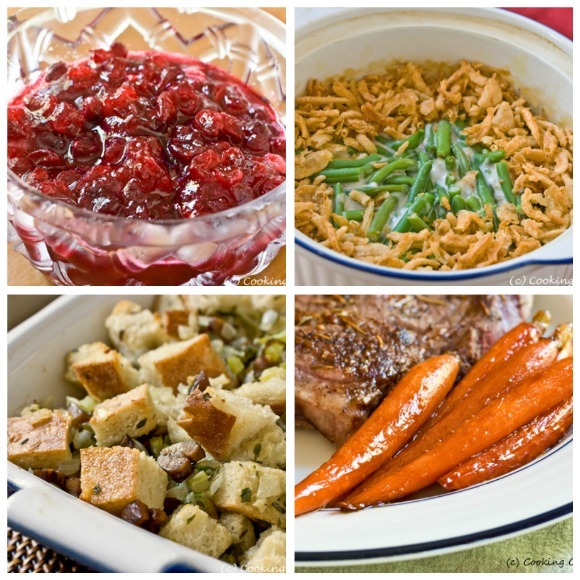 Make Ahead: Cranberry sauce can be prepared up to 1 week ahead. Store in refrigerator. Stir before serving. This post was sponsored by McCormick as part of their Seasonal Seven Flavors program. My opinions are – as always – my own. 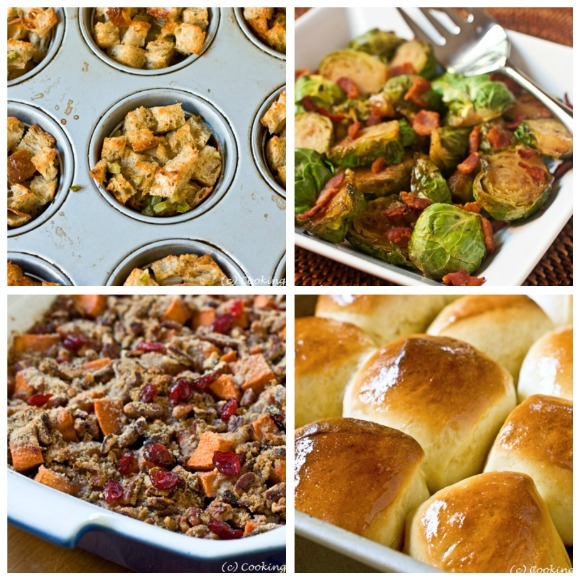 What an incredible collection of sides for Thanksgiving! Happy Thanksgiving Kathy! 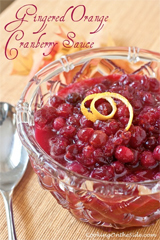 Beautiful cranberry sauce and a wonderful list of recipes that are making me hungry already! Oooo, yummy! 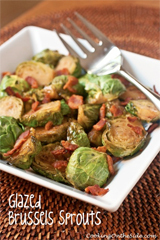 Lots of great recipes here. 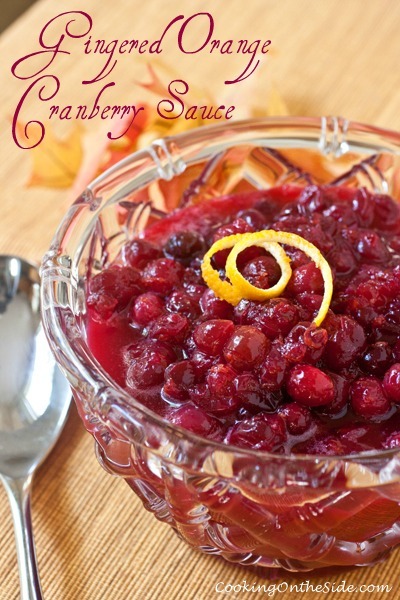 There is nothing like homemade cranberry sauce and this looks like a beautiful one! What a gorgeous group of dishes!! I’m of the opinion that you can never have too much ginger… so I’m totally into this sauce. Looks great! 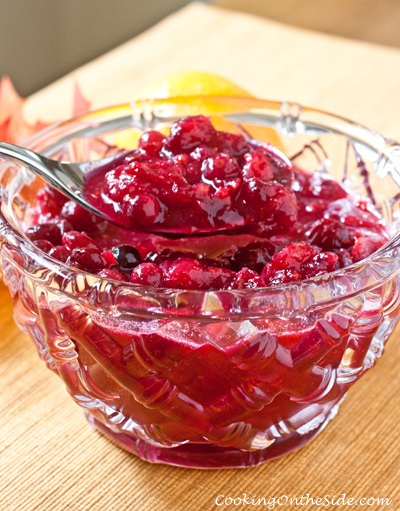 The ginger is the best part of fresh cranberry sauce. We love to pop in fresh minced ginger for that spicy bite. Great way to balance out the sweet and tart. what a great round-up! also, i love homemade versions of store bought stuff. this looks delicious.